The Scottish Blackface breed's origin is lost in the mists of time but undoubtedly emerged from the horned hill sheep that old monastery records of the 12th Century speak of. The monks used the wool for clothing and also exported large amounts to Europe. 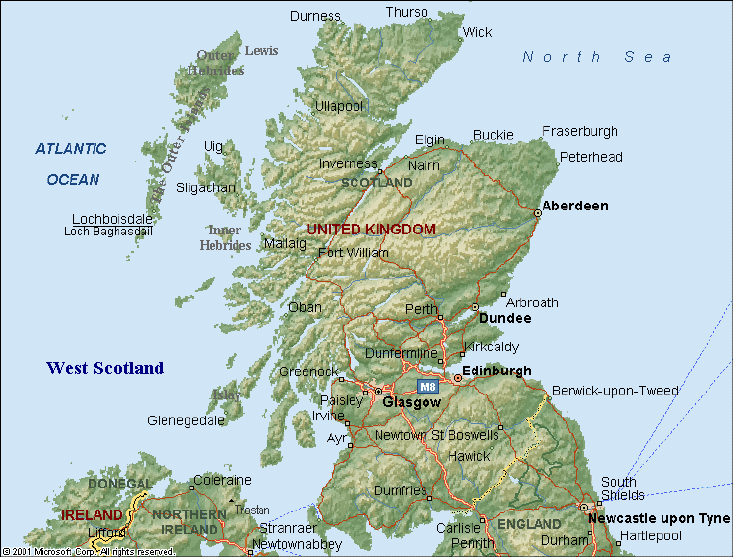 The breed was improved over the centuries and farmers realized the the Scottish Blackface, with its ability to survive and reproduce in adverse weather conditions was the best suited to utilize the hill and mountain grazing to their best advantage. Scottish Blackface Sheep, also known as Scotties, Blackies, Highland Sheep, Blackface Sheep, are a medium sized, white wooled breed of sheep with black marked faces and legs. Both sexes have horns. In Scotland, there are several regional variations in type which range from the large framed Perthshire with medium to heavy long wool to the lighter framed short wooled types, with the Newton Stewart type being the most refined and improved but no less hardy. Today many of these types are intermixed and variations can easily be seen in modern stock here in the United States. They produce a white carpet quality wool that is strongly double coated, straight and fairly long. Within the breed there are 3 basic wool types with different staple lengths and degrees of fineness for use in carpet, mattress padding and weaving for the Harris Tweed® trade. 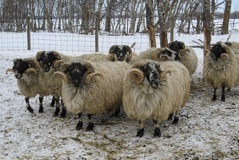 Scottish Blackface sheep are "Easy Care" and ewes lamb easily, quickly and, aided by the mothering of the attentive ewe, lambs are up and feeding in a very short time. The ewes are defensive of their lambs and develop a strong bond. On marginal pasture, Scottish Blackface ewes produce mainly single lambs and under better conditions, twins are common with occasional triplets. The ewes are aggressive, milky, devoted mothers whose lambs are vigorous and extremely attractive. The lambs are naturally reared, symbolizing the purity and goodness of the land and has a reputation for its unrivaled sweet flavor and tenderness. 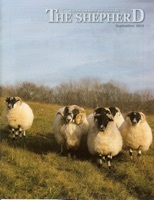 The Scottish Blackface is at the summit of the pyramid of stratification of the British sheep industry. The hills produce a reservoir of females, which are drafted to marginal or upland farms either as ewe lambs or five or six year old ewes, where they are crossed with a Bluefaced Leicester to produce the ever popular Scotch Mule Ewe, or a Border Leicester to produce the Greyface Ewe. Crossed with a terminal sire, the Blackface ewe produces a quality prime lamb.